Evelyn Stackpole was a founding member of the Dog Tracking Club of Maine. Up to her untimely death she was an active contributing member of the club. She was very dedicated to the club and its stated mission of promoting and encouraging participation in the sport of tracking. Evelyn assisted at numerous tracking educational programs, was responsible for obtaining ribbons, premiums and awards, and provided hospitality for club events by arranging for hotel accommodations, judges’ dinners and our pot luck luncheons. Using her husbands’ sand blasting machine, she produced customized gifts for judges and tracklayers. It took several club members to fill her shoes when she died. This award will be presented to the DTCM member that the Award Committee feels has contributed greatly to the Dog Tracking Club of Maine, to the education of the public and to the enhancement of tracking as a sport, and who has exhibited exemplary sportsmanship among members and exhibitors. The award is intended for that individual who has given of himself/herself above and beyond the expected benefit of the DTCM and it’s members. Previous recipients: Peter Rich, Bob Cuzner, Eric Lawson, Mary Thompson, Sally and Bruce Bradford, Judy Herman, Virginia Howe. 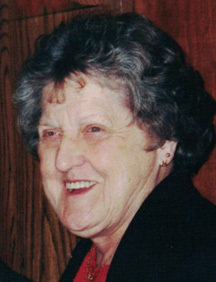 Mary Thompson was a longstanding member of the Dog Tracking Club of Maine. As an AKC tracking judge at all test levels she brought a thorough understanding of scent and how it works in various situations. Mary was very active in supporting the club both as a judge and instructor. She led numerous seminars and clinics in both tracking and scent work. Mary cared deeply about the sport of tracking and was dedicated to providing a positive tracking experience for her students and test participants. She was always willing to help out and share her knowledge and was a recipient of the Evelyn Stackpole Outstanding Service Award. In everything that she did for DTCM, she set a fine example of the professionalism expected by the AKC of judges as representatives of this sport. This award will be presented to the DTCM member that the Award Committee feels has contributed greatly to the Dog Tracking Club of Maine’s active involvement with AKC Scent Work, including the education of the public, the enhancement of scent work as a sport, participation at trials and who has exhibited exemplary sportsmanship among members and exhibitors. The award is intended for that individual who has given of himself/herself above and beyond the expected benefit of the Dog Tracking Club of Maine and its members.